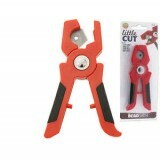 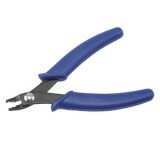 These economy tool kit has all the tools necessary for hobby and craft use. 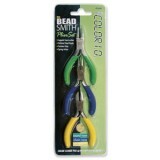 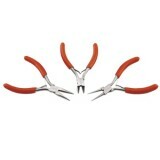 Complete economy Chain N..
Beadalon Crimp beading tool is ideal for forming a smooth professional crimp finish in a jewelry pie..
Beadalon Standard Flat Nose Pliers, ideal for creating sharp ends and straightening b..
Three piece mini set includes, round nose plier, chain nose plier and semi-flush side cutter. 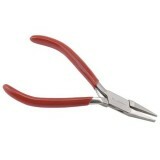 The ro..
Beadsmith Little Cut Leather Cutter, ideal for licorice leather, leather cord, rubber cord and more!..